Akon was deeply saddened on learning about the tragedy wrought by the recent typhoon. Popular hiphop and R&B superstar Akon extends his sympathies to his Filipino fans, in the wake of the severe damage brought about by typhoon Ondoy. 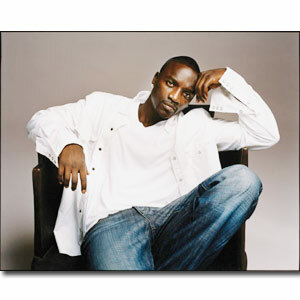 Amid his busy touring schedule, Akon was deeply saddened on learning about the tragedy wrought by the recent typhoon. "My heart grieves for all Filipinos who lost their lives, their loved ones, and their cherished possessions during that tragic weekend," he says. "It is in these trying moments that we find our greatest strength, faith and capacity for self-sacrifice. I pray for the safety and well-being of all of you out there in the Philippines." Akon is scheduled to perform at the Araneta Coliseum on October 23, together with our very own international R&B livewire Billy Crawford, in a concert dubbed Freedom Tour '09. The show will definitely push through, with Akon himself spearheading the charity campaign by donating a sizeable chunk of the concert proceeds to the typhoon victims. Through the auspices of the concert's producer, ALV Events International, Akon is set to choose a still-unnamed beneficiary. "For every ticket you buy, you do your own humble share in assuring your calamity-stricken brothers of food, clothing and shelter," Akon explains. "My music and my own life story have always been a testament to freedom, and it's only fitting that I pay back by helping other people find their own freedom from pain and strife."